So recently, i decided to ombre my hair, just because I hadn't dyed it in a while, and I fancied a change, but not a drastic change. My mum's been wanting me to go blonde for ages (I have no idea why because i have really dark hair, so dark eyebrows, and I am not Cara Delevigne, therefore I cannot pull off such a style), so instead of being that drastic, i decided I would just dye the ends blonde. Well, I say blonde, it turned out a little bit more ginger than blonde, but I actually really like it. I used the L'Oreal "Wild Ombre" kit in the shade for dark brown hair. Because I have such thick hair, I had to use 2 packets, but the results, in my opinion, were nice, but, really damaging to my hair. 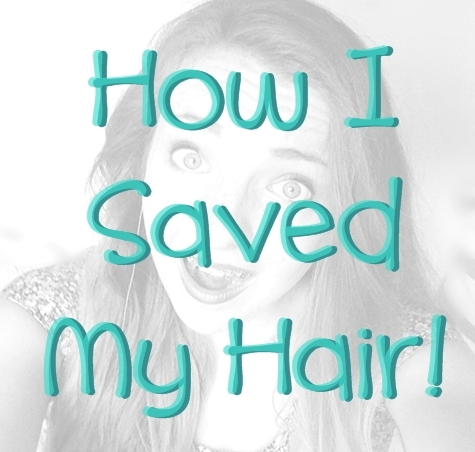 This brings me to what this post is actually about, how I saved my hair! When I first brushed through it, after washing the dye out, and putting the conditioner you're given with the hair dye, it was awful. I couldn't brush through it, and i've never had a problem with tangled hair. Yes, I get the odd tangle, and tug, like the majority of people, especially because I have ridiculously thick hair, but never anything as bad as this. It was much expected, as I did bleach my hair, so I wasn't surprised. Obviously, I needed a solution. I already had been using this serum on my hair by TRESemme, so I decided to apply it to the ends of my hair, like I had been doing for a while now. Before, i'd just noticed that it made my hair smooth (like it says on the bottle), but when my hair was as damaged as mine was, I noticed that it also really stopped my hair feeling hard and disgusting (if you've bleached your hair before, i'm sure you'll know what I mean). It wasn't much easier to brush through, but it still made my hair a lot shinier, and softer. After a hell of a long war between the tugs, and my trusty tangle teaser, I got through all the tangles, and when I dried my hair, it looked nice, and shiny, but as soon as I tried to run my fingers through it, they got stuck. I didn't want this to happen all the time, so the following day, I headed to the closest drugstore (Boots), on the hunt for something to help. I was in the hair aisle, when I spotted this little bottle. The "3 Minute Miracle" Deep conditioner. Now I am a huge fan of their "Miracle Moist" shampoo and conditioner duo, and this little tester tub was only £1.18, so I thought I might as well give it a try. There was no point buying the full size, because I would only be using it once a week, until I felt that my hair was soft and smooth again. I expected it to take a few uses for this to actually start to work. How wrong I was. After using it, and following the instructions on the back of the bottle (work through the ends of your hair, comb through, leave for three minutes, rinse thoroughly, and style as normal) , I towel dried my hair, and then proceeded to try and brush through it. I am not exaggerating when I say my hair had NO tugs in it. I could literally brush through it with ease, and it took me all of a minute to brush through my hair, in comparison to 25 minutes the previous day. (Yes really.) I then put in the smoothing serum, and together, these two products work a dream together. I can't explain to you how amazing my hair felt when I dried it. 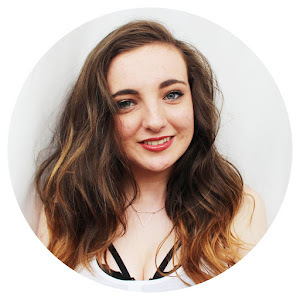 It felt light, and voluminous, and soft, and shiny, and silky, just like i'd come out of the hairdressers. It was amazing! I will definitely be repurchasing both of these products. I use the smoothing serum after every hair wash, and I use the deep conditioner every 7-10 days, depending on how I think my hair is. To conclude, two great drugstore hair products that together cost around £6, and left my hair feeling gorgeous, and actually, for the fist time in a long while, I got quite a lot of compliments about not only my ombre-ed hair, but also how shiny and nice it looked! I would definitely recommend you buy these two products, if you have dyed your hair, and had the same problem as me.